The state of Massachusetts on Thursday suspended the certificate of a Boston driver who is accused of leaving a 3-year-old boy in the back of her van three miles from his day care. 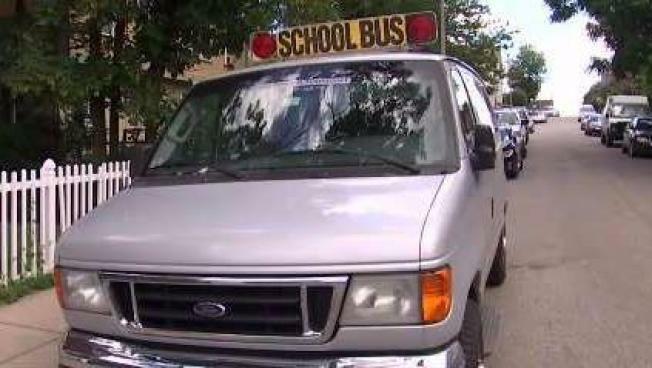 The state Registry of Motor Vehicles took action on Natasha Duncan’s certificate to drive a van of children to school or daycare after Boston police said a parent saw the boy smacking the windows of the van, parked on Mount Pleasant Avenue in Roxbury, on Wednesday morning. Nicole Venter, the boy’s mother, told NBC Boston on Wednesday that the company, Easy Does It Transportation, had been taking her son to school for the last two years. Duncan, who was not home Friday afternoon when NBC Boston knocked on her door for comment, has not been charged with any crime, but Boston Police are investigating what happened. Her driving record includes three speeding tickets—two this year—one crash and one seatbelt violation since 2011. She had been certified to drive the van since September. The boy was found near the listed address for Easy Does It Transportation, about three miles from his daycare, the Rockwood Early Education Academy on Blue Hill Avenue in Dorchester. A woman who answered the phone at Rockwood hung up when NBC Boston asked for the executive director. Venter said the boy was not hurt while he was in the van. The parent who saw Venter’s son called police, left him at another daycare on Mount Pleasant Avenue until Venter and her husband could pick him up. Easy Does It Transportation could not be reached for comment, and did not answer a door knock at 7 Mount Pleasant Ave. Wednesday afternoon. Shortly after the door knock, however, a man ran out of the triple decker, jumped into the van with the yellow school bar and Easy Does It Transportation label, and sped off.